Few things are more frustrating than trying to limp through a recipe without the right equipment—just ask anyone who's tried to whip a Swiss meringue by hand. In the realm of casual, everyday American desserts like cupcakes and pie, there's something to be said for making do with what you've got. Go ahead, let that wine bottle double as a rolling pin! But when it comes to a specialty dessert as specific as cannoli, it pays to arm yourself for the task at hand. After more than six months of testing, I'm beyond excited about sharing my recipe for cannoli, but there's no pretending it's something anyone can tackle on a whim. Throw yourself at the task empty handed, and you'll need the experience, wisdom, and patience of an Italian grandma to pull it off. Shy of that, having the proper tools will bridge that gap in skill, so anyone can make, fry, and fill the most gorgeous crisp and blistered cannoli shells at home. Happily, most of these tools are major workhorses in the pastry kitchen, so investing in a few key pieces will help you to conquer many other classic desserts. Cannoli need lots of water in the dough to blister as they fry, and tons of gluten development to keep the shells sturdy and cracker-crisp, which makes for an obnoxiously sticky dough that will take eons to knead by hand. Mercifully, you can knock the whole thing out in about 90 seconds with a food processor. For a more in-depth look at your options, check out our article on the best food processors on the market. 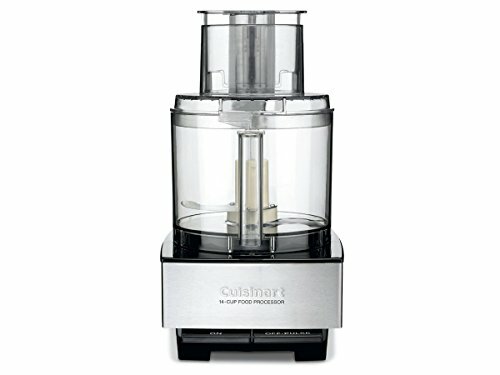 Our favorite is the Magimix, but this classic from Cuisinart is just as capable. For beautifully blistered cannoli shells, the dough needs to be rolled down to 1/16th of an inch, so don't try to sneak by with a bottle of wine or a janky pin that feels awkward in your hands. I'm fond of the maneuverability of French pins, but so long as it's comfortable in your hands, it doesn't matter whether you opt for a straight pin or Shaker style. Unless you're making minis, cannoli should be cut in rounds no smaller than 3 1/2 inches to ensure they make a tube large enough to hold plenty of creamy ricotta filling. The largest ring in Ateco's graduated set is slightly larger than that and perfect for the task, while the smaller cutters will get plenty of use in other baking projects, whether making buttermilk biscuits or tender alfajores. Arguably the most essential piece of gear for making cannoli at home, these hollow forms give cannoli their iconic shape. While it's technically possible to fry simple rounds of dough for nacho-style cannoli, there's no denying it's a desperate bastardization of a style that's classic for a reason. I tested my way through a ton of different cannoli forms, from aluminum to non-stick, and these tapered, carbon steel forms were far and away the best. Their subtle taper makes the cannoli easy to release, without giving the shells an overly conical form. They're the perfect size and shape for cannoli, but large enough to double as a mold for cream horns too, making them more versatile than smaller forms. Unlike many bargain brands, these carbon steel forms won't collapse or warp under pressure (say, when squeezed by a pair of tongs), and they're even dishwasher safe—a major bonus when it comes to cleaning up oily forms. Deep frying can be a stressful endeavor when you can only guess (or spot check) the temperature of the oil. With a clip-on digital thermometer, the oil's temperature can be monitored in real-time, so you can make adjustments as needed along the way. With this style of thermometer, you can also make use of the alarm feature, which can be set to alert you should the temperature ever climb too high. I love Polder's In-Oven thermometer, but I've been using the ChefAlarm a lot too. Either way, this style is my go-to recommendation for candy-making (which is a crap shoot with pocket thermometers) as well as bread-baking, as well as savory applications like roast chicken. Okay, technically this is more of an ingredient than a piece of equipment, but if you're picking up any other gear online go ahead and throw some refined coconut oil in your cart—buying in bulk online drops the price down to about fifteen cents an ounce (exponentially cheaper than those tiny jars at the supermarket). It's a big tub to be sure, but refined coconut oil is extremely resilient against rancidity and it will last for years. Plus, refined coconut oil is something I use in tons of recipes, both in my cookbook and here on Serious Eats, and it's great for any project from fried chicken to tempura. Like lard or shortening, coconut oil is solid at room temperature and liquid when warm. That's great for deep frying, because it gives fried foods a shell that's crisp, but never greasy. Since coconut oil is solid at room temperature, it has a waterproofing effect on the shells, making them less permeable so they don't absorb as much moisture from the filling. In turn, this extends their shelf life so they stay crisp for up to 6 hours after filling. Best of all, refined coconut oil produces no odor at high heat, sparing your kitchen that funky, fried-food smell. Without a secure grip, fishing a slippery cannoli form from the hot oil can be a dangerous task. I love how securely longer, heavier tweezers can grab the ultra thin forms, plus there are fewer nooks and crannies to collect hot oil; if using tongs, I recommend these minimalist 12-inch tongs from Cuisipro, which are a little more nimble than their silicone-coated cousins. If you don't already have this kitchen basic, check out our article on the best kitchen tongs or learn more about why we love jumbo kitchen tweezers. A large, disposable pastry bag fitted with a plain, 1/2-inch round tip makes filling cannoli a snap, and gives each one a polished, professional look. Plus, the pastry bags and tip are indispensable for countless other projects, whether you're filling cream puffs or homemade Oreos. Having the right gear on hand will free you up to enjoy yourself in the kitchen rather than devise MacGyver-esque hacks. That peace of mind will, in turn, allow you to focus on the more important cannoli question—whether to serve them plain, with chocolate shavings, or toasted pistachios.